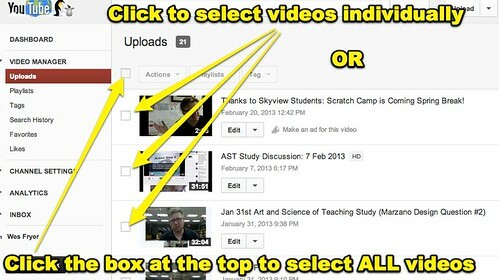 A VIDEO LIBRARY & eStore supporting "simple ideas for powerful sharing"
YouTube can be used in powerful, transformative ways to support classroom learning, especially when STUDENTS create content shared online. 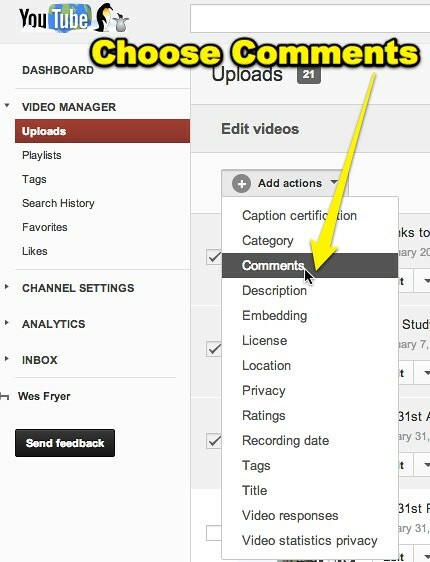 Today, as I helped one of our 7th grade geography teachers wrap up a paper-slide video project in which student-created videos were uploaded to his YouTube channel, we discovered that YouTube now permits “bulk modification” of videos in the Video Manager. 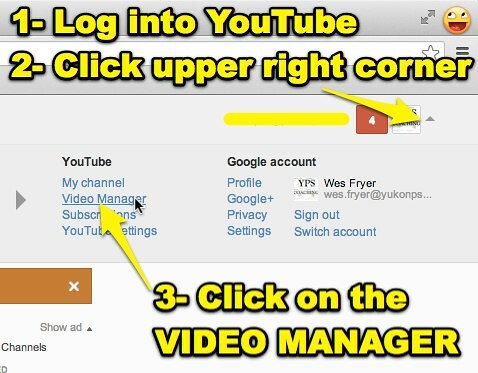 This means teachers can now change the settings for 30 videos or more, all at once, so comment moderation is REQUIRED. Comment moderation is turned OFF by default on all YouTube channels, even if your school district uses Google Apps for Education. When comment moderation is turned ON, the teacher / owner of the YouTube channel has the opportunity to APPROVE any comments which are left on videos in their YouTube channel before they show up publicly for others to view. I highly recommend teachers turn on comment moderation on YouTube videos, since (presently) it’s not possible to turn on comment moderation by default. The following steps are also available as a 2 page PDF file, linked from the “Quick Edit Video” page of Mapping Media to the Common Core. 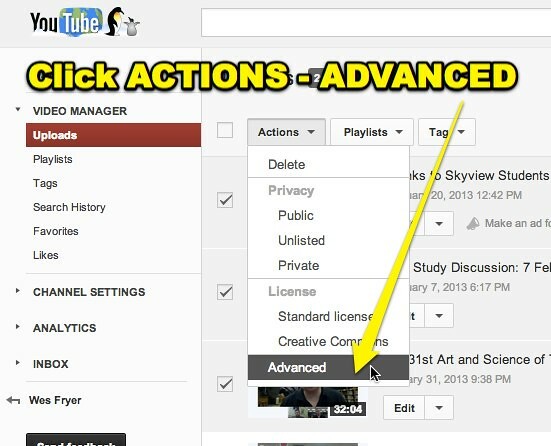 Step 3: Select ACTIONS – ADVANCED. Select COMMENTS. Order your copy of Mapping Media to the Curriculum: Vol I" and "Playing with Media: simple ideas for powerful sharing" by Wesley Fryer, Ph.D. Individual book chapters for the first six media products in the "Mapping Media to the Curriculum" framework are also available in the PlayingWithMedia eStore and as eBook singles from Amazon.com.